Shanta Gold has announced the 2014 production levels at its New Luika Gold Mine (New Luika) in south western Tanzania, with projections indicating that they will be at the upper end of previous guidance of 80,000 to 83,000 with all-in sustaining cash costs between USD 900 and USD 950 per ounce. On October 20, 2014, Shanta Gold announced their completed Life of Mine (LOM) extension study and they are now reviewing results from the third party reviewer, AMC Consultants Limited (AMC). Based on an initial report from the third party reviewer that supports the LOM extension, it was indicated that the nature of the ore body and its high grade pay shoots make it essential to drill a series of additional holes in the areas below the Luika and Bauhinia Creek pits in order to further enhance the Bankable Feasibility Study and reduce the risk profile of the planned LOM extension. According to a company release, Shanta Gold will complete the drilling of 5,000 meters of new holes by April 2015 using internal funding, after which an LOM extension will be announced. 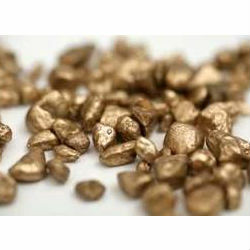 Shanta Gold is engaged in the mining, development and exploration of gold through its Tanzanian subsidiary, Shanta Mining Company Limited (SMCL) and was admitted to the London Stock Exchange’s Alternative Investment Market (AIM) in July 2005.